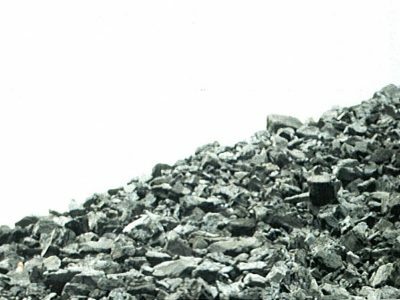 Coal Dust the carbonaceous carbon add in green systems for the production of Grey Iron and Ductile Iron castings use Coal in one form or another as the carbonaceous additive in the system. This carbonaceous additive facilitates a reducing atmosphere through its volatile content, and the lustrous carbon liberated in turn ensures the metal does not wet the surface of the sand grains, and subsequently is responsible for a quality surface finish, free from sand defects and associated metal penetration. Raw Coal prior to processing (typically 5 to 10 cm lumps) Many replacement materials to Coal have been tried with varying degrees of success over the years, but they have all come up against the one fundamental problem: Coal during its heating phase, produces not only a lustrous carbon product, which is critical to its surface finish and protection of the casting face, but also a Coke residue, which again is critical as the sand is recycled and stops metal penetration by filling the voids between the sand grains. For a substitute to achieve this degree of Coking, along with the other attributes required, has not been successfully achieved using materials such as pitch, polystyrene, oil based products, resin based products, and combinations. 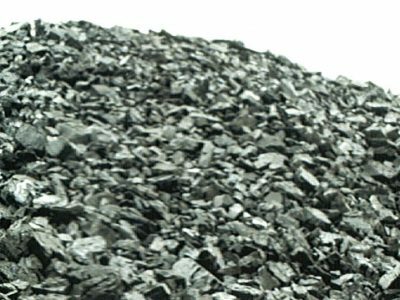 • Low Ash content because if coal dust has high ash content it cause to casting defects such as gas defect due to it will increase moisture demand beside if coal dust has high ash will increase addition then the good coal dust should be has low ash content. • High Volatile that means coal dust, which has high volatile, can improve casting surface better because it will increase lustrous carbon generate. • High lustrous carbon, the lustrous carbon is main factor to improve the casting surface finished because it help to protect sand stick at casting surface and oxidize reaction then the casting has good surface. • High fixed carbon, in green sand has a lot of moisture then it easy to happen sand burn (FeSiO4) by oxidizing at casting surface so we put coal dust into green sand to provide carbon for reducing agent to protect sand burn. • High swell index it helps to reduced expansion defect.